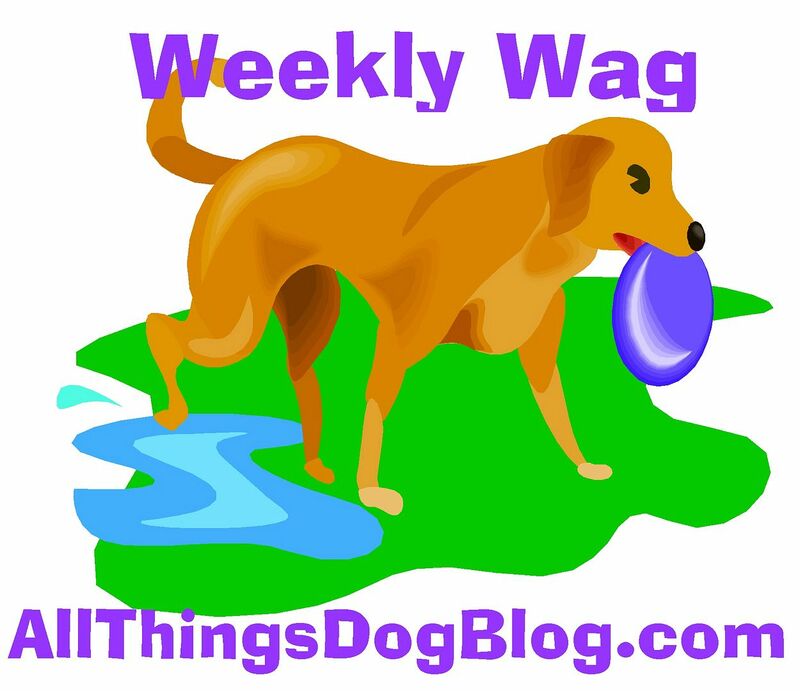 All Things Dog Blog All Things Dog Blog: Doog Walkie Belt Holds it All! Doog Walkie Belt Holds it All! Have you seen me at the dog park lately? Or maybe on a walk with Tanner and Oliver? I have new gear for keeping everything I need ready to go when dog activities call. Dude! It's called the Doog. I like to think of this handy clip on, hold-everything-belt as the "out-of-date fanny pack meets stylish dog park visitor". Okay, so maybe dog park parents are not that stylish. Call us athletic or active and that probably works better. The Doog fits right in with both. I'll admit when I first put it on, it felt a little bulky, but one round at the dog park and I was sold. I laminated a copy of my drivers license and now I no longer have to scramble for necessities when I leave with the dogs. With my Doog belt, my keys and the dogs' leashes ready to go, I tuck my phone easily in the loop provided and off I go. 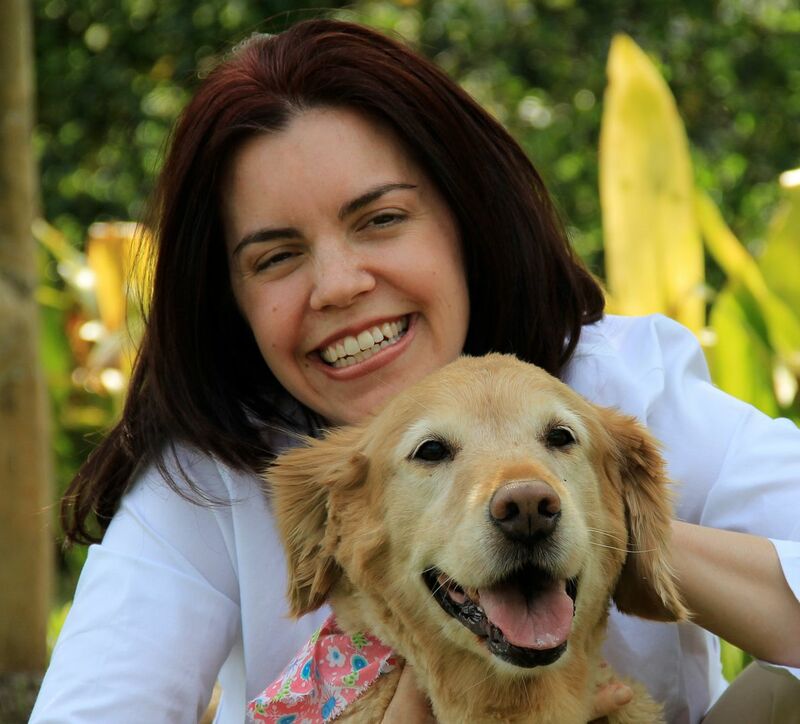 The treat pouch is easy to access for dog sports enthusiasts or trainers. There is also a place for wipes, poop bags and a carabiner hook for extra leashes or toys you may need. And I'm loving having my phone right where I need it. The Doog is completely adjustable, one size fits all. But colors? They've got a great assortment including black, red, camo, denim (OMG, my fave! ), pink (for the girls!) , lemon yellow, sage green, Aqua and yellow combo, and a brown and pink polka dot fashion version. There seems to be a design for everyone, even Cesar Millan. 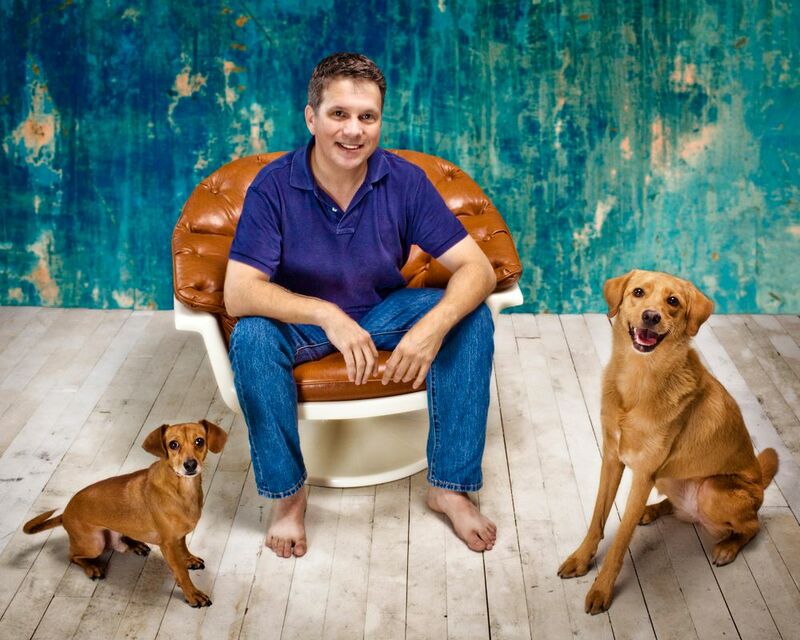 Cesar Millan helped design his own product and had the folks at Doog create one just for him. It's available to the you to purchase as a bit of an upsized version of what I've got to show you here. It's rougher and tougher; it's cool with it's tennis ball holder, 2 caribiners for hooking dog leashes to you and an extra large treat pouch. But it's not red! The Cesar Millan Pro Belt comes only in gun metal grey. That must be the macho color, huh?! Designed to free up your hands so you can enjoy active fun with your dog, the Doog was given the Editor's Choice award from Modern Dog Magazine. I'll second that. I qualify as an editor, right? Doog (Dog Owner's Outdoor Gear) is an Australian company that makes gear for active owners and their dogs to enjoy outdoor activity even more. Their products are now available in the U.S., Europe and Asia. You can check out store locations here, or buy one from their website here or at their US site here. Want to check them out a bit more? 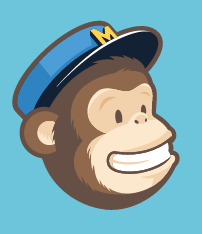 You can learn more on Facebook and follow them at Twitter, as they grow and expand their product line. Full disclosure: I received a Doog belt to review free of charge. There is no purchase necessary for you to enter this giveaway. I was not paid to do this review and my comments are my own. Love it! 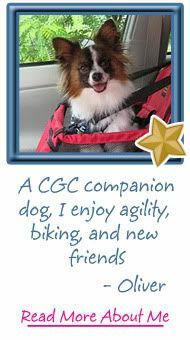 We would use it at the dog park, at the river, for walks, for activities with our local therapy dog group (I have just retired Shiloh as a therapy dog due to his health problems, but he will still help with local therapy dog awareness events), while traveling, and more. I can't think of anywhere we wouldn't use it! 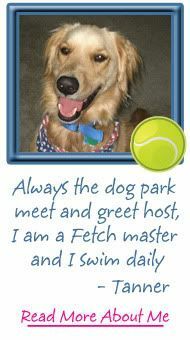 Sounds like the Doog would've great for agility class or hanging out at the lake. I always seem to be juggling an armload if stuff! I love that I don't have to collect a half dozen things every time I leave with the dogs. I put my DL, a copy of my health insurance card, a few bucks, wipes and bags inside and I'm always ready to go. This is one new product that is truly different from everything else I found at Global this year--a gem among the masses. That looks great. The only thing missing is, I like to have a pocket to put the poo bag once filled with, ahem...you get the idea. Since I walk in a neighborhood, there is no convenient receptacles to dispose of it. Still, it looks like something I'd use for sure! The bags that come inside the Doog have handles, so you can tie your used doodie bag onto your leash handle to have 'hands-free' walking all the way home! I would use my Doog Belt to hold training treats for when I walk the dogs. This would be great also to help free up my pockets full of plastic poo bags, house keys, etc. Everytime I pull a bag or something out of my pockets I am so affraid to lose something (like my keys dropping out) because my pockets are always so full. The Doog Belt would be a great help! That would definitely come in handy for holding treats during our freestyle class! I love this belt! I've been wanting a "treat pouch" belt for awhile and this is like an upgrade. I'd use it mainly for holding treats, and also my cell phone. Some of my pants don't have pockets, and who likes to carry around a purse when walking a dog.. Or three? I will use it to hold treats and poop bags on walks! And maybe my phone and my iPod, too. And my camera! I like the blue foldable bowl. 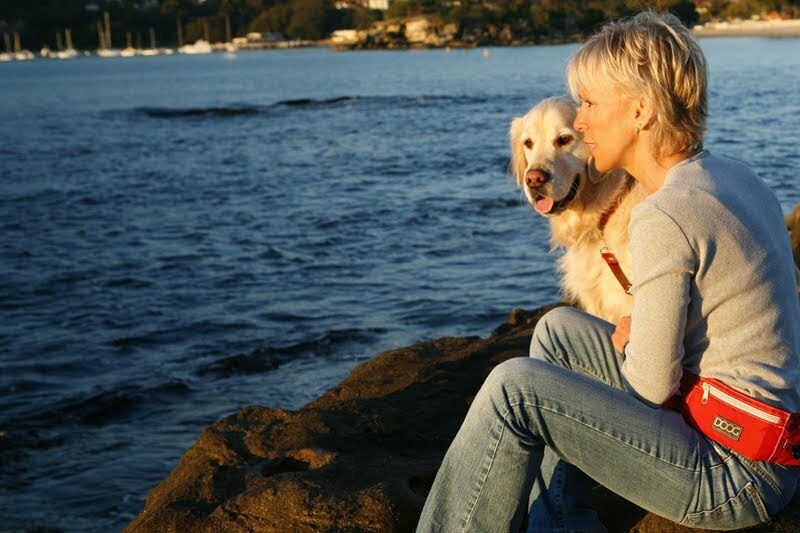 The Doog belt would be so fantastic for my walks with Elka! I currently use an all-weather purse from Salvation Army for our walks: clicker, poop bags, house key, folding pocket knife, treats, and long leash. It flaps around something awful when we run! I walk my dogs because we live by the highway. We have a fence but my smarty pants lab taught the others how to get out of it. Lol. Soooo, I walk four dogs at once. It's only in our yard but it takes a while and I can't hold anything else but them. I would put my phone in mine and also some toilet paper. Weird I know but my lab is so bad about needing his rear wiped after he poopies. It would be nice to not have to make sure I do it as soon as I come inside so he doesn't sit on my bed first. Lol. Oh Wow!! This looks pawsome!! I would use it everyday! My dog goes everywhere with me. I would use it to take Schooner and Skipper on their walks. 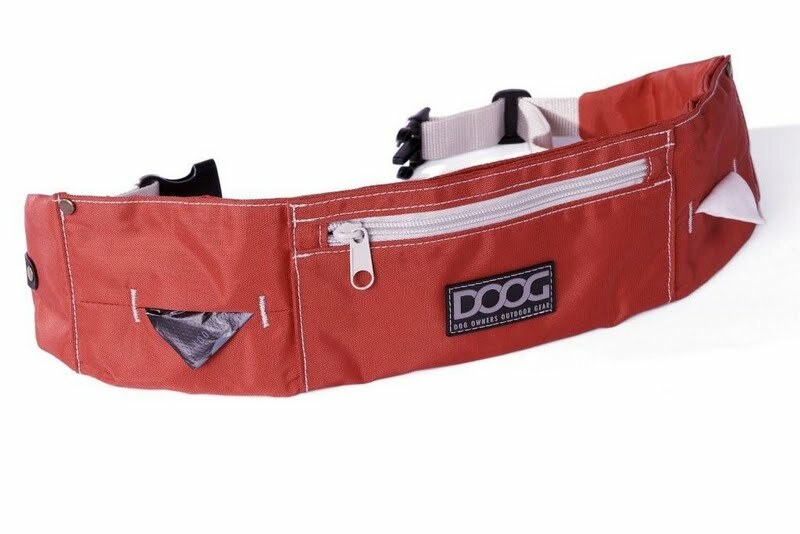 I could carry my cell phone in the Doog Dog Belt to call my husband when Schooner decides he doesn't want to walk anymore and just sits down. 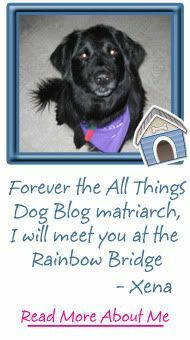 I went and visited the Doog website. I LOVE the Foldable Bowls. It would be great on the boat. It would not take up so much room. Plus it would find in Schooner and Skipper dog bag. I would use this walking Maggie, my German Schnauzer! !